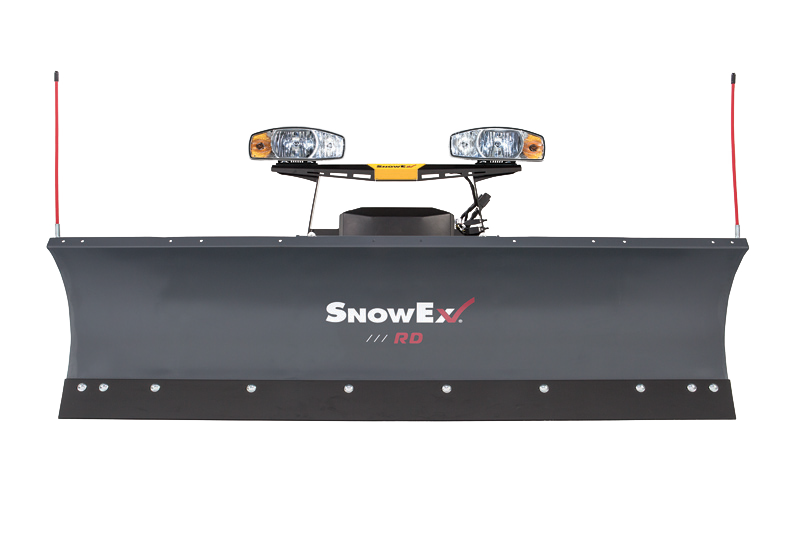 Ideal for tough winter storm conditions in Pittsburgh, SnowEx Regular Duty snowplows are built with stronger and lighter high-strength steel and engineered to meet vehicle weight ratings. The 7’6” and 8’0” Regular Duty plows feature the Automatixx® Attachment system for easy snowplow hookup and are a perfect fit for personal plowing or light duty commercial snow plowing jobs using half-ton pickup trucks. Add the Scrape Maxx™ down force kit accessory to any Regular Duty plow for increased back dragging performance. A full-trip moldboard with two coil springs helps protect you, your plow and your truck when striking obstacles. Six vertical ribs support the back of the blade to add strength and protect against twisting. Plows are built with high-strength steel that is stronger and lighter than conventional steel. The formed base channel is the backbone of the plow, built with high-strength steel and multiple angles for extra stability. Robotically welded headgear ensures quality and consistency on every SnowEx plow. An easy-to-use hand-held control allows the blade to be raised, lowered and angled with one quick touch. The SECURITY GUARD™ anti-theft system electronically secures your plow from unauthorized use when detached from the truck. Blade Width 7' 6" 8' 0"
Plowing Width (Straight) 90" 96"
Plowing Width (Full Angle) 81" 86.6"
Cutting Edge 5/16" x 6" 5/16" x 6"
Thank you for submitting your request. We will respond at our earliest convenience. For immediate assistance, please call 516-868-1400 and reference this request.